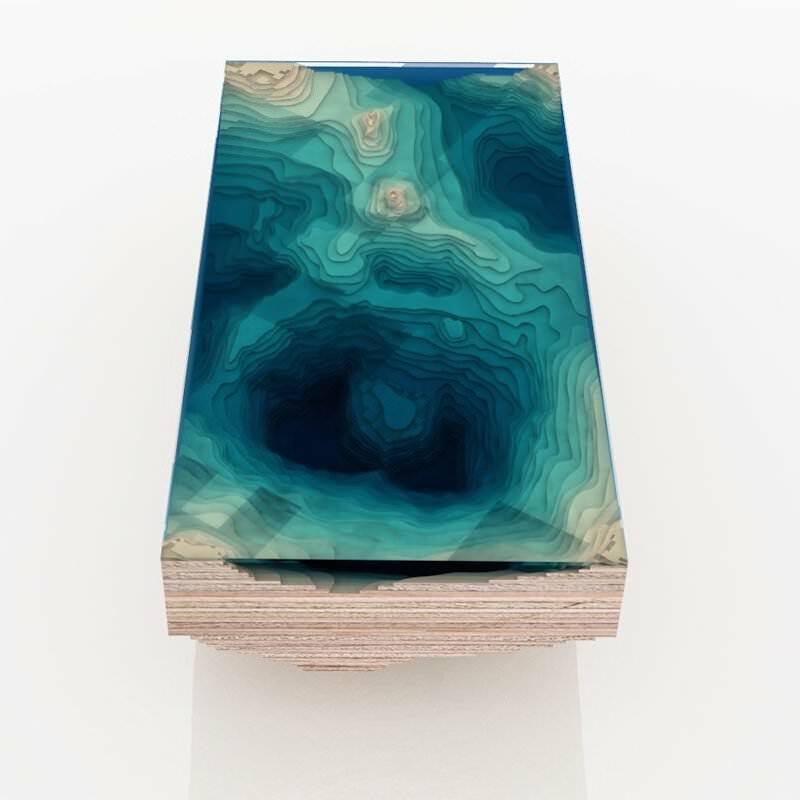 This mesmerising table was first conceived by Christopher Duffy — and ultimately refined by the team at Duffy London — to represent a 3D geological map of an ocean floor. 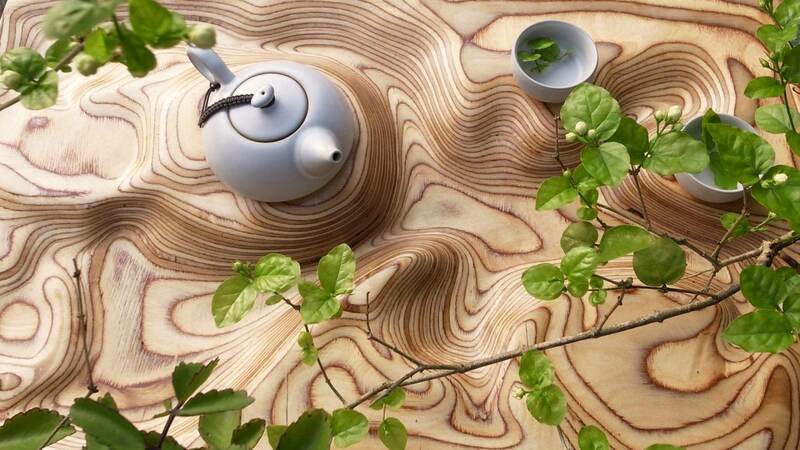 The Abyss Table makes use of contour lines, which are often used to denote topography in terrain maps, to render an island chain and ocean abyss. 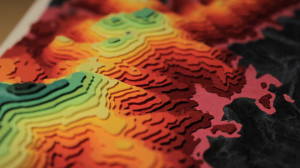 Contour lines can be thought of as workaround for the 2D limitations of paper maps, but Duffy instead relished these simplifications which have become iconic imagery for the field of cartography. 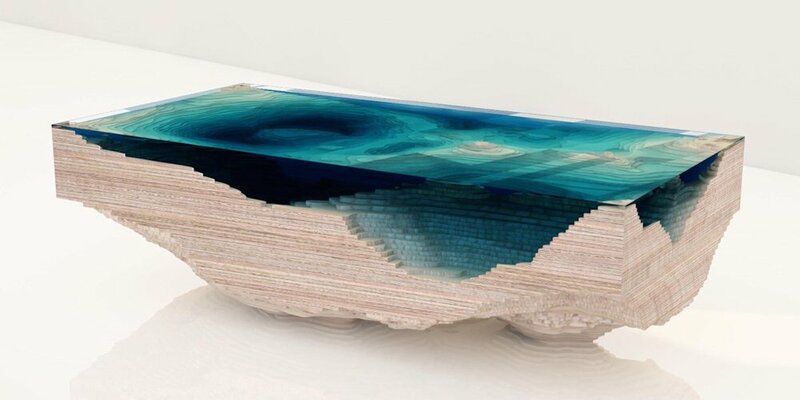 He incorporates layers of wood to represent the land, and panes of glass for the water, in order to produce a 3 dimensional geographical model. 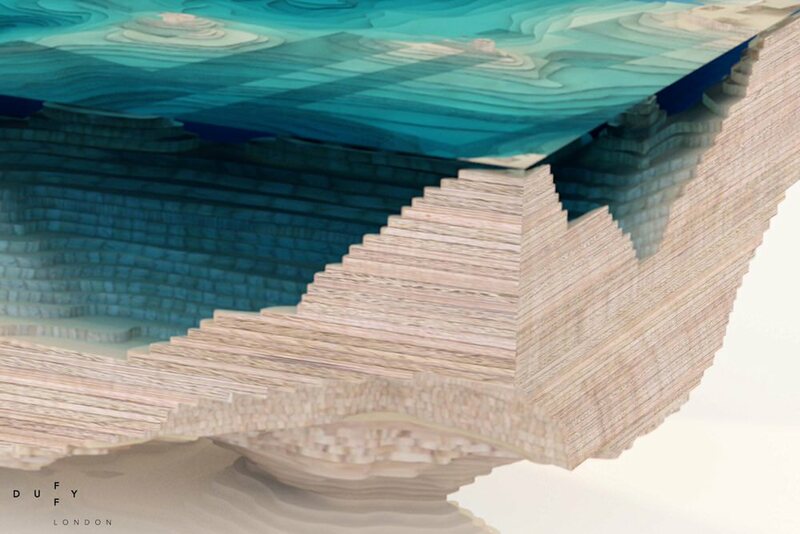 A lot of Christopher Duffy’s previous works play on the theme of gravity, and our expectations that the sculptural furniture pieces will immediately collapse. 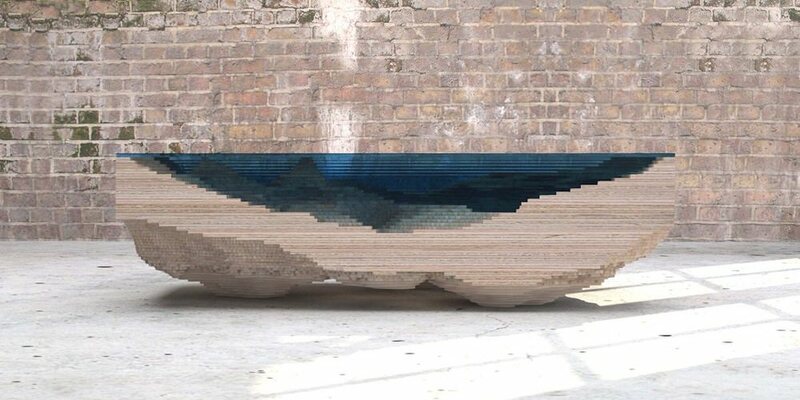 His UP balloon table, Shadow Chair and tumbling Megalith Table are prime examples of this tendency, but the Abyss Table instead explores the theme of depth, and is perhaps just as unsettling. 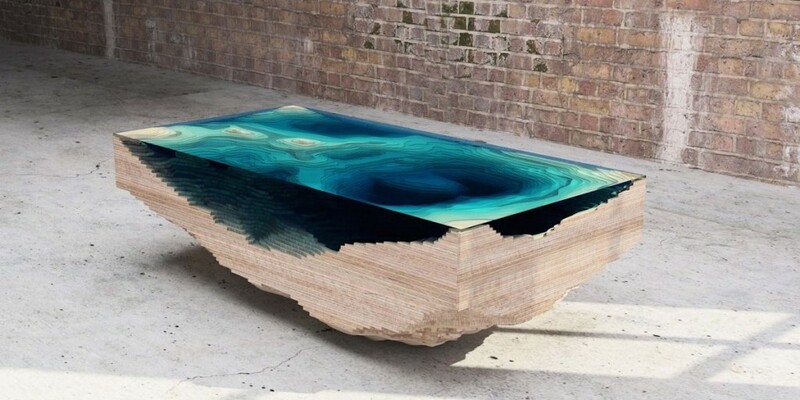 The Abyss Table is currently being offered in a limited run of 25 tables but the price of £5,800 (excl VAT) does put it well outside the means of myself and I’m sure most of the readers of this article. 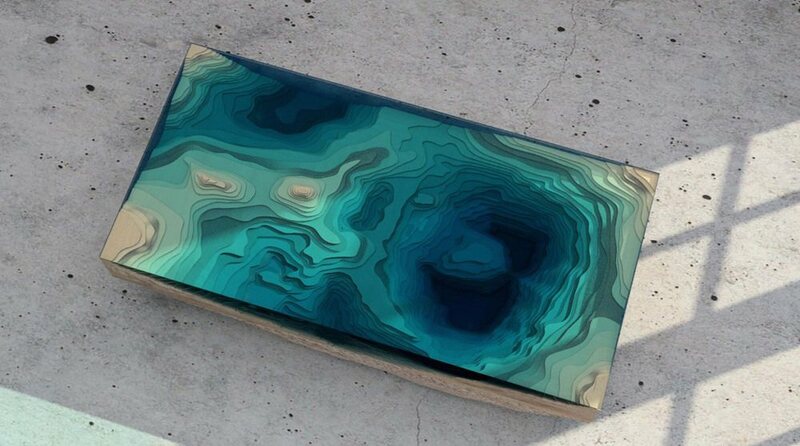 Although the Abyss Table is an object of such beauty that it’s one of the few pieces I feel I could justify purchasing if I were to suddenly become absurdly wealthy. 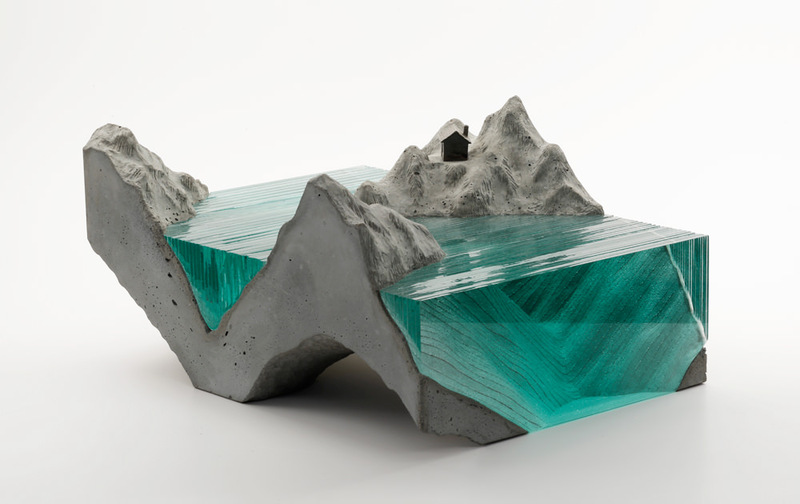 That’s a gorgeous piece, but …is it just a 3d render? is there a real one? Have you seen it? it’s mesmerizing. Could you provide dimensions and approximate shipping costs to Ontario, Canada? Please and thank you. This is a serious enquiry. Meg my name is Deb and I live in Sask. I noted your enquiry and wonder if you got a reply. If you did, would you be so kind as to forward the info to me. Thanks. I love your work very inspirational! 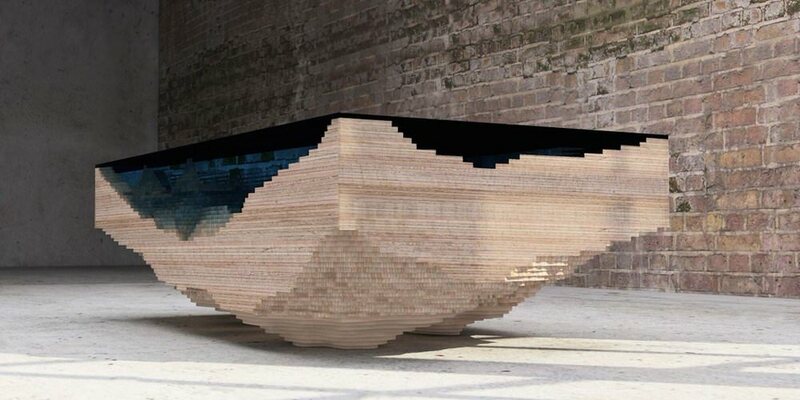 @marc, I suspect that the images posted are 3D rendering and not the actual physical table hens why the ‘bonded’ sheets of float glass would appear flawless. 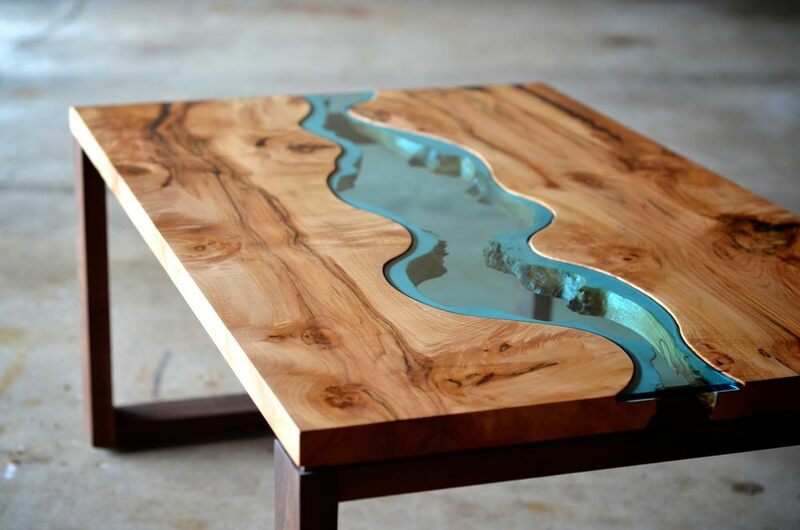 If this were to be manufactured I would be inclined to laminate the glass sheets with a clear polyvinyl butyral (PVB), this would ensure that nothing gets trapped in between the glass surfaces. 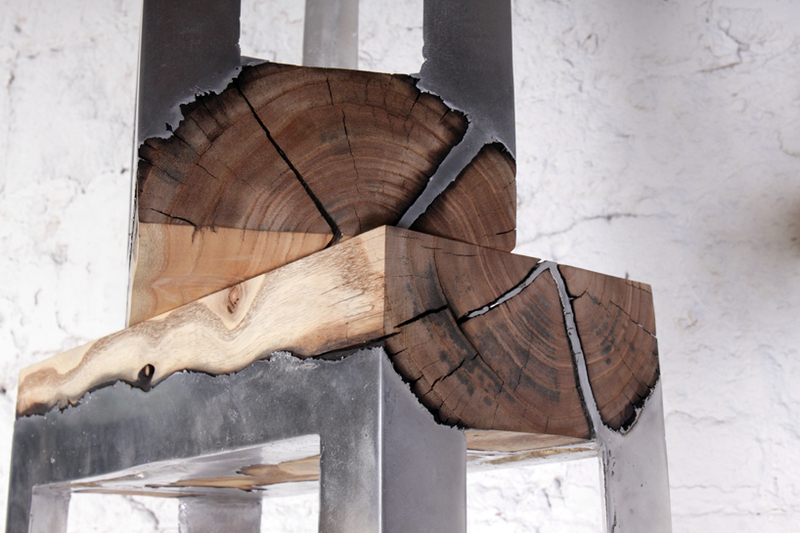 Simply stacking them on top of each other would lead to dust accumulation and condensation.